Q: When you have available and what time? A: We available every day and year round. You can check preffered date and time in online booking for every location like Gudauri, Tbilisi, Batumi, Mestia, Kakheti and others. From May to June we advice to book from 8am for kids and from 9am to 12pm for adults, because morning time has stable clear weather. Q: What time is the paragliding held? A: 9am to 6pm depends on weather. Q: What day to choose for paragliding? A: Weather forecast is not an accurate timetable. We advice to fill in your arrival and departure dates in online booking form. We'll contact you 1-2 days before your arrival day and inform you wich day is the best for paragliding. Q: Will I do paragliding alone or with instructor? A: You'll fly with instructor only! Q: Why is fear of vertigo is not a problem for a paragliding tandem flight? A: Vertigo is often mistakenly equated with fear of heights. In fact, anyone except maybe the people who works every day in high altitudes are afraid of heights. During paragliding, the fear of vertigo vanishes within seconds after the take off. Q: How works the organization of a paragliding tandem flight? A: We agree on a desired flight date via online booking, email or phone. Because paragliding is completely depending on weather conditions, we will contact you in any case on the evening prior to the desired flight date between 20:00 to 21:00 to inform you about the weather, accurate time planning, flight area, meeting place and time. Q: We are 2 persons. Can we fly in the same time? How many people can fly at the same time with one polot-instructor? A: One pilot-instructor can do paragliding for one person only. We can do up to 50 persons per time: 2 pilots and 2 gliders at the same time in the air! Q: We are short in time for paragliding in our tour with guide and group. Is it possible to do paragliding in short time? A: Our paragliding service requires not less than 1 hour per person, including meeting, dressing up for paragliding, driviving to takeoff, prepairing, safety induction, etc. We advice to use our tour service for paragliding and your trip to Kazbegi. You'll have both tour and paragliding without long time waiting, meet point searching and other operations wich lost your time. Q: We are group of 4...100 people. How many people can do paragliding per time? A: It works this way: one pilot-instructor and one customer. We can do up to 8-10 flights per time. Q: What is maximum and minimal weight of passenger? A: Minimum weight is 20kg or 7 years old. Maximum weight is 150kg for Adventure package and 95 kg for Discovery package. Q: Whats is minimal weight and age for paragliding. Can you fly with my kids? A: We ready to fly with kids from 7 years old and minimum weight 20kg at morning time only, like 8-9am. Q: We want come with infant and fly togegher in same time, do you have babysitter? A: Yes, your kids will be safe during your paragliding. Note, you have to choose short paragliding package like Discovery for it. Q: Do you provide transport from Tbilisi? A: Yes. You can choose in booking page round direct transport only or one day tour to Kazbegi. Q: What time you pick us up from Tbilisi and where? A: It's personal private service. We pick you up direcly from your hotel and drop you off back at your hotel after drive back to Tbilisi. Pick up time: from 7 to 9 am. Q: Can i come to meet point in Gudauri by public transport? A: Sure! Local bus to Gudauri or Kazbegi start at 7-8-9am from Didube underground in Tbilisi. Ticket price is 7 to 10 GEL one way. Q: Is it possible to do one day tour and paragliding in the same day? A: Yes, you can do it all in one day tour. Q: Can we join to the Kazbegi tour people without paragliding? A: Yes! Tour price is fixed and you can share cost among your friends. Offroad tour to takeoff not included in Kazbegi tour (in paragliding options only). You can join up to 7 persons per one booking for Kazbegi tour. Q: Do you filming my paragliding? A: Yes, sure! You'll get your video in same day from our own server. Q: Can i use my own camera? A: Yes, you can use any camera to your own risk. Q: Do you refund money if no weather? A: Yes, sure! We refund your deposit confirmation payment to your payment card in 72 hours, if we can't do paragliding in main or reserve day or you want to cancel your booking before 14 days. Q: What can we do if there is no weather? A: You can go to Kazbegi one day tour. If you join this private tour provided by our company you can come back to us again on your way back to Tbilisi at evening time (like 3-5pm). Sometimes the weather recovers to good conditions in afternoon if it's not good at morning time. You can wait or ask driver go to Kazbegi tour if you book direct transport only. 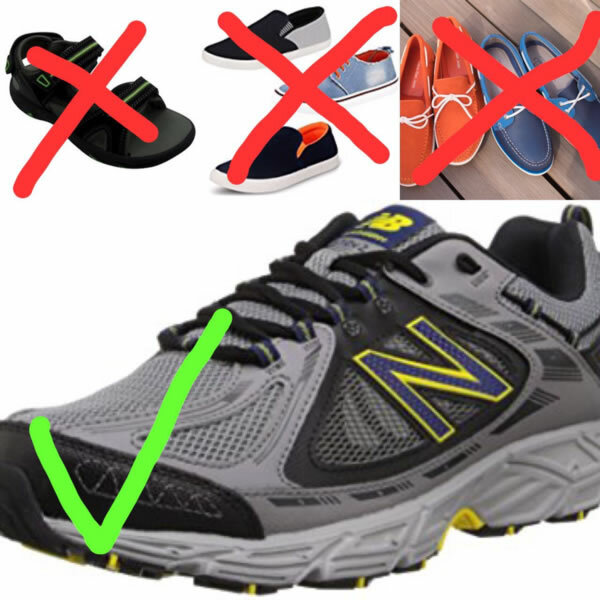 Use sport boots with tighten laces, something like running shoes.